Retailers small and large, especially those in the grocery industry, are continuing to realize the growing importance of technology to maintain competitive and to preserve margins. Today, technology plays a central role in a growing number of consumers’ everyday life, especially the Millennials, and there is now an expectation that retailers offer web, mobile, and in-store technology solutions that will enhance the customer’s shopping experience and connection with the retailer. Since BRdata’s primary goal is to be your end-to-end solution from the wholesaler to the consumer, we have allocated significant resources to further enhance our e-commerce, loyalty, mobile applications, and business intelligence (cloud) solutions, while maintaining focused on growing our core applications. Our evolving set of interconnected product offerings ensure that you have the tools to provide your customers with a consistent and fulfilling in-and-out-of-store experience that drives customer loyalty, engagement, and basket size. At the 2019 BRdata World conference you will learn from our multitude of speakers, industry peers, and team members about the new and existing modules that BRdata has to offer and how they can empower you to make informed and profitable business decisions while enhancing the flexibility, scalability, data quality, and cost-effectiveness of your operations. Learn how our e-commerce platform can quickly provide your customers with an online marketplace while avoiding integration issues and unwarranted high fees, how BRdata Cloud can provide meaningful business intelligence to you anywhere via a web browser or your mobile device utilizing data that you already have in your system, how BRdata’s loyalty offerings can drive customer engagement and loyalty, and how our back office modules streamline your business operations. Includes Sunday welcome activity and welcome reception dinner, all meals Monday – Tuesday, and the special dinner event on Tuesday. Note: Does not include hotel rooms or optional two-day training. If you are registering for 3 or more guests, purchase the group discount tickets instead to receive a special rate! Includes registration for the conference and training immediately following the conference on Wednesday and Thursday, September 18 – 19. Includes Sunday welcome activity and reception dinner, all meals Monday – Thursday, and the special Tuesday night dinner event. Note: Does not include hotel rooms. If you are registering for 3 or more guests, purchase the group discount tickets instead to receive a special rate! If you are not attending the conference, but would like to attend training, the fee is $400. This is only for training on Wednesday and Thursday, September 18 – 19. Includes breakfast, lunch and dinner on both days. Note: Does not include hotel rooms. Coming with a group? Get the special group discount rate of $599 for the first two registrants and only $300 for every third registrant. If the group would like to attend training on Wednesday and Thursday, September 18-19, it would be $300 extra per person. Note: Price does not include hotel rooms. If a guest(s) will be traveling with you, but will not be attending the conference, they are welcome to join the conference attendees for meals, the Sunday activity, and/or the Tuesday night dinner event. Purchase tickets below for your guest(s). and throughout the grocery industry. provide best practices for using and implementing BRdata technologies. Note: Tentative, subject to change. Take advantage of the optional post-conference training on Wednesday and Thursday, September 18th – 19th, from 8:30AM – 4:30PM. Choose from either Advanced, Technical or Basic training. $300 for conference attendees, $400 for non-conference attendees. Intended for new users, this track will review everyday BRdata tasks. Topics include: Product Master Basics, BRdata Hosting, DSD and Ordering, Inventory, Imports and Exports, Reporting. The Advanced Training will cover in-depth BRdata features and enhancements. Topics include advanced features of the following: Product Master, DSD, Order Entry, CGO, Cloud Reporting, Future Pricing, Pre-Process Batch File, Excel Import, Labels\Signs, Inventory, RF Gun, Automated Emails, Ad Planner, Reporting, Price Optimization, Scale Interface. Learn about the technical side of BRdata. Topics include: BRdata Installation and Setup, SQL, Thick and Thin-Client Technologies, Masters, Database Overview, Sunbelt, Utilities, Wireless Handheld and Printer Setup, Networking, Scheduled Tasks, Error Codes, Backups and Recovery, POS Communications, Email Notification. All conference attendees are invited to join us in a Sunday recreational activity and a special Tuesday night dinner event. When you purchase your tickets you will be prompted to specify which activities you would like to attend. Please note that this is a walking tour. Join us for a golf tournament at Bethpage State Park, a mecca for public golf featuring five 18-hole regulation golf courses including the world-renowned Black Course which was the site of the United States Open in 2002 and 2009. We will play the Red Course. The Black Course is also available for more advanced golfers. Clubs can be rented at the golf course if you are not bringing your own. Price to rent ranges from $40 – $80. Spend the day fishing out of Captree State Park. Based on minimum occupancy. BRdata has a special group rate with Eco Taxi for car service. 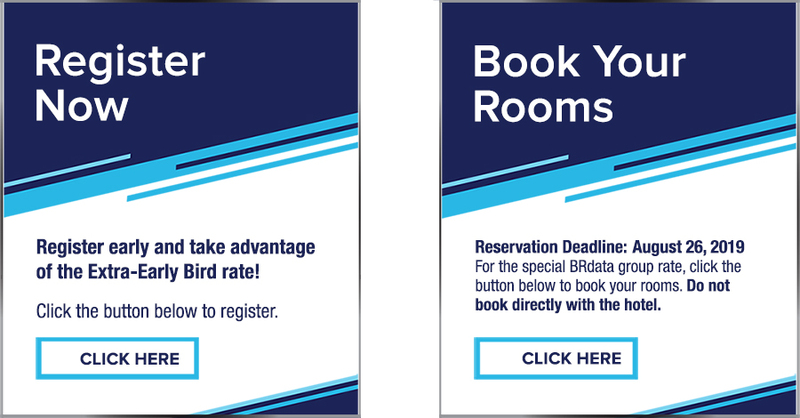 Please mention the BRdata conference for the special rate. Below is their contact information and pricing from each airport to the Fox Hollow. For information on dining, shopping, and local attractions in and around the hotel, please click HERE. Travel to Manhattan using the Long Island Railroad. Leave from Syosset Train Station and arrive at Penn Station. The Syosset Train Station is about 2 miles from Fox Hollow. Please email Kim Morasse (kimm@brdata.com) or call her at (631)391-8840 with any questions you have.